When it comes to CBD, there’s no such thing as a one-size-fits-all approach to dosing. Determining the right amount is more art than science. It takes a little effort and time to find your sweet spot, and even then, you may need to periodically adjust your dose to reflect your ever-changing schedule, mood, and environment. Take the CBD oil consistently (same amount, same time) every day. Start with this routine for 4-6 weeks, it may take some time to notice the changes. Keep a journal to track dosage and effects. This will help give you insight into what amount of CBD is right for you. A possible side effect is drowsiness, so it might be best to start out by dosing at night. Rosebud is comprised of a high concentration of CBD and MCT oil for a faster, more efficient delivery throughout the body. 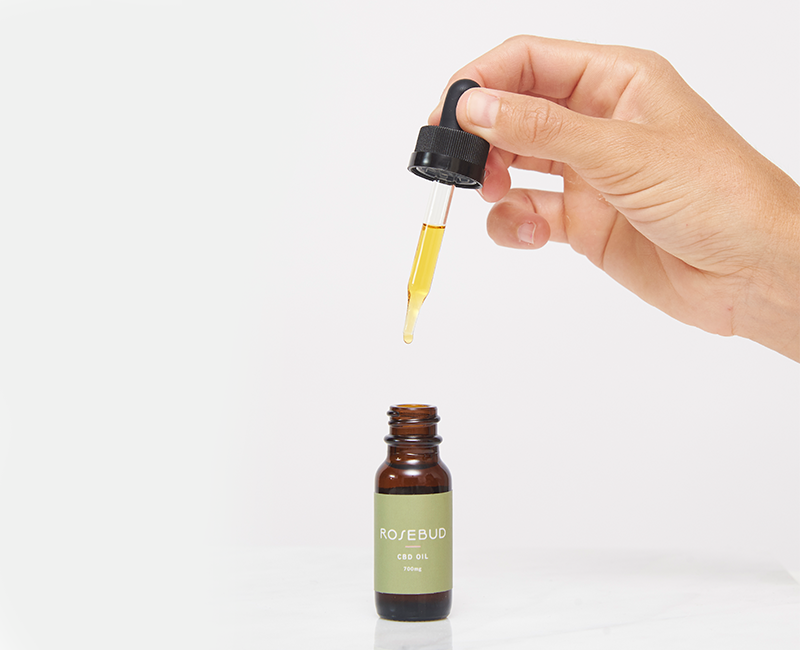 Each batch of Rosebud CBD oil is third-party lab tested to ensure purity, quality, and accuracy in dosing. It is pesticide, herbicide, and solvent-free, with no additives, flavorings, sweeteners or preservatives. Be sure to consult your physician or health care professional before introducing a new supplement into your wellness routine. CBD generally follows three dose ranges. Smaller doses can stimulate the body, while larger doses can help sedate the body. Rosebud CBD oil can be used orally and topically with humans and pets. Drop directly under your tongue, hold for 15-30 seconds and then swallow. Rosebud CBD is multi-purpose and can be consumed as an edible or topical. Get creative! Infuse your favorite food or beverage with Rosebud CBD. Apply CBD oil directly to your skin or add to your favorite lotion.